Alrosa has announced its third quarter results for the third quarter and first nine months of the year. In the first nine months, Alrosa has reported revenues of RUB 214.5 billion ($3.6 billion) and a net profit of RUB 61.9 billion ($1.04 billion). According to Gem Konnect, revenues are down 16% year-on-year over the first nine months, while net profit is down 47% for the same period. In the third quarter, Alrosa generated revenue of RUB 58.9 billion ($988 million). Sales in carat terms were down 6%, while revenue was down 16% year-on-year. Alrosa sold 31.8 million carats of rough diamonds during the first nine months of the year – a 6% rise year-on-year. 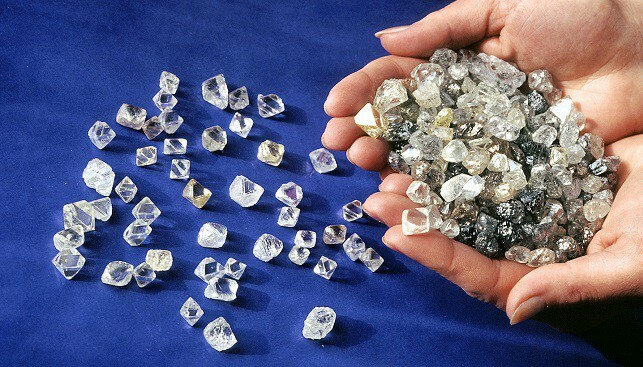 Alrosa explained the slash in revenue and profits in a 15% appreciation of the ruble against the US dollar “coupled with a 12% decrease in the average price of diamonds sold, mainly as a result of changes in the diamond mix”. The accident at the Mir mine in August also affected the company’s net income. CEO Sergey Ivanov commented: ”ALROSA’s nine-month 2017 results remained subdued by macroeconomic and market factors beyond the company’s control. At the moment, we are witnessing a moderate resurgence in the diamond market. Implementing our efficiency improvement initiatives has helped to cut unit production costs”.